What’s not to love about chicken breasts? 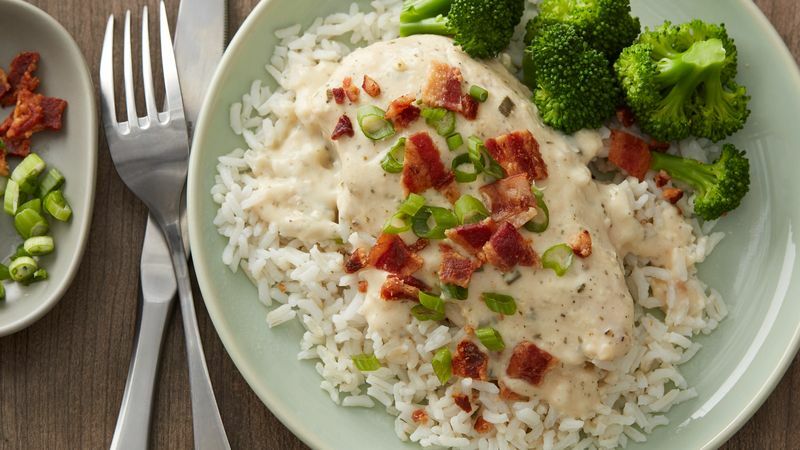 They’re inexpensive to buy, quick to cook and satisfying to eat, so long as you’ve got Betty’s best chicken breast recipes on hand. Whether you’re in the mood to grill or roast, stuff or smother, there’s a recipe here that’ll take your chicken breasts beyond basic. No matter which of these recipes inspires your next dinner, there are a couple of things every home cook should know about cooking chicken breasts. Chickens come in all different sizes but typically, a bone-in breast weighs 2 ½ to 3 pounds and a boneless breast 1 ¼ pounds. Unlike some other cuts of meat—steaks, for example—it is not recommended you let your chicken come up to room temperature before cooking. Chicken breasts can go from the fridge straight into the skillet or baking dish. Cooking chicken thoroughly is important, and a meat thermometers is the best tool to help you quickly and accurately gauge whether your meat is done. You’re aiming for a temperature of 165F. If you don’t have a meat thermometer, cook until the juices runs clear when the center of the thickest piece is pierced with a knife or fork. Finally, we’d like to bust the myth of chicken skin once and for all. Cooking chicken with the skin on adds flavor, not fat. Research has found that the fat doesn’t soak into the meat during cooking. Leaving the skin on also helps keep juices in, creating meat that is more moist and tender. Psst, if you need even more chicken breast recipes, Betty’s not out of ideas yet.